Weapons Carry License applications will be accepted Monday through Friday from 8:00 a.m. - 12:00 p.m. and 1:00p.m. -5:00 p.m. The office is closed for lunch from 12:00 p.m. to 1:00 p.m. It is recommended that you appear in Probate Court no later than 11:30 a.m. and 4:30p.m. to begin the application process. 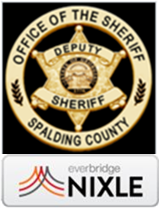 Finger printing is currently done at the Spalding County Sheriff’s Office on Monday, Wednesday and Friday from 8:00 a.m. to 12:00 noon. You must apply in Probate Court before appearing at the Sheriff’s Dept. Beginning on January 1, 2019, the fee for a WCL will be $76.00 for a new license or a license renewal that is expired over 30 days. Cash-Exact change or small bills are greatly appreciated. Personal Checks - local Spalding County checks only. (We will not accept a starter check). Please apply in person at the Probate court. Click here to Review a sample of the Weapons Carry License Application to determine if you are eligible to obtain a Weapons Carry License. Please note that this sample application is to provide the individual with information needed to determine eligibility for a Weapons Carry License. The official application must be completed by the Probate Clerk’s Office, hard copies of this application will not be accepted. A valid driver's license reflecting your correct Spalding County address. 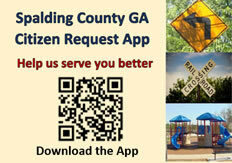 If it does not show your correct Spalding County address, please contact our office for additional information. If you were born outside of the United States please call our office for further information. In order to keep your permit current, it will be necessary for you to renew your permit every five years. Renewals are $35.00. Renewals are allowed no more than 90 days prior to your expiration date and no later than 30 days after the expiration date. Please bring your current permit along with your valid driver's license to the Spalding County Probate Court. Please contact our office immediately at (770) 467-4341. If you have lost your valid Weapons Carry License and need a replacement, please note that you will receive the same type of permit that you were originally approved for. For instance, if you have lost a valid permit that was issued before January 1, 2012, you will receive the same laminated paper styled replacement. If you have lost a valid permit that was issued after January 1, 2012, you will receive a hard driver's license styled replacement for a fee of $6. Please contact a Probate Clerk either by telephone or in person, Probate clerks can be reached by dialing (770)467-4341. Monday through Friday, 8:00a.m. - 12:00 p.m. and 1:00 p.m. - 5:00p.m. The office is closed from 12:00 p.m. - 1:00 p.m. for lunch. Georgia now reciprocates in recognizing firearms licenses with the following states: Alabama, Alaska, Arkansas, Arizona, Colorado, Florida, Idaho, Indiana, Iowa, Kansas, Kentucky, Louisiana, Maine, Michigan, Mississippi, Missouri, Montana, New Hampshire, North Carolina, North Dakota, Ohio, Oklahoma, Pennsylvania, South Carolina, South Dakota, Tennessee, Texas, Utah, West Virginia, Wisconsin and Wyoming.